Every time we go to our closet, we choose who we want to be that day. We get to choose between the geeky graphic tees that have the schematics for a Dalek on them, or our black tee and leather jacket. Sometimes we want to class it up a bit with some pinstripes, and sometimes we want to be warm and toasty with our 12 foot long scarf. So imagine how long it takes the Doctor to choose who he wants to be, what clothes he wants to wear when he regenerates. He has to find the perfect outfit that matches his new face. Nine was a little moody, so he needed the leather jacket. One was a classic kind of man, the monocle worked for him. Eleven, was the perfect amount of nerdy, and happy. And he brought back bowties. So the next time you open your closet (or regenerate, we don't know you), who are you going to choose to be? Are you going to slip on this Doctor Who Mens Eleventh Doctor Jacket, and your red bowtie? Of course you are. You are going to say "Geronimo", and try to find the Ponds. You are going to visit Vincent Van Gogh. You are going to find a crazy woman who calls you "sweetie", but loves you like you can't even imagine. All until tomorrow when you go to your closet, and decide who you are going to be all over again. 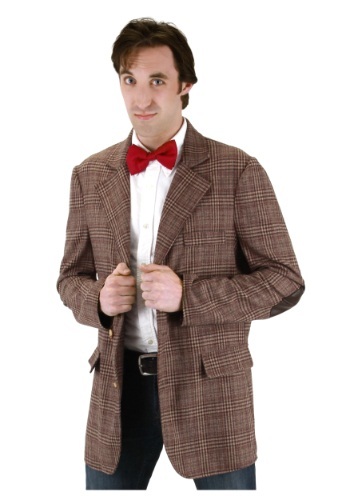 This jacket completed my Doctor Who costume so well! Only wish it came with 1 pocket, a pocket for a sonic screwdriver. My son loved his Doctor Who jacket of our favorite doctor! It fit him slightly big but it will last for next year for his birthday. 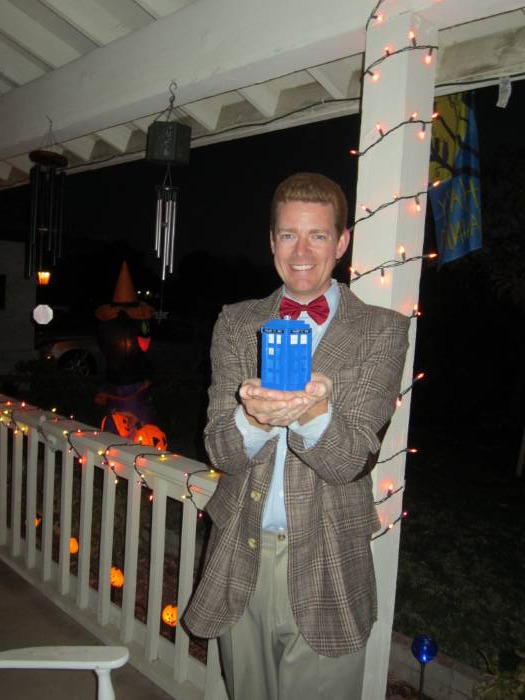 He really enjoyed being dressed as the Doctor. It fit as expected and is great quality. I will wear this often!